Examples of bad customer service are present all over the internet. This is due to the fact that people talk more about a bad experience than a good one. About 68% businesses planned to make customer support their primary investment in 2014 (report) which shows the initial adoption trend and we are hopeful that it will continue to rise through 2015. 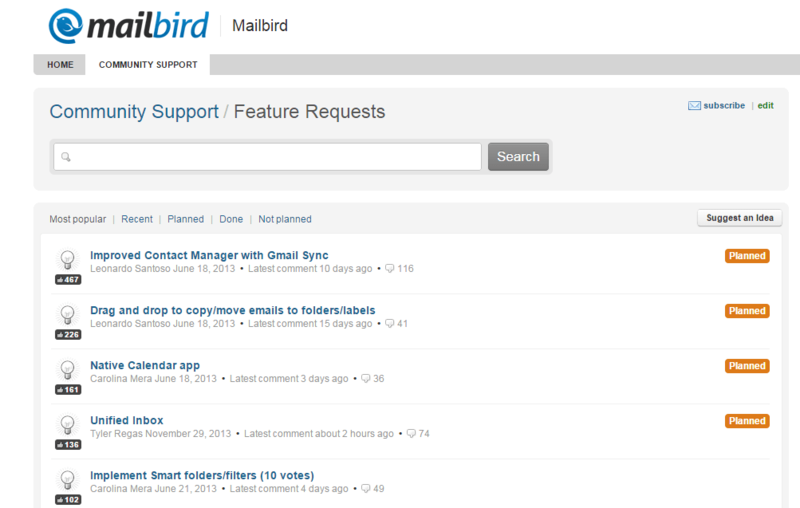 Customer support has been the main priority for Mailbird right from the start and if you ever contacted us, you would know that. And today we want to share 10 simple strategies that have helped us give a better support experience to our users which you can implement in your business to see favorable results. One of the most successful strategy for us was to start a conversation with our users at the very beginning to learn their pain point and resolve it before hand. When a user downloads our software they get an email with a question “What brought you to Mailbird in the first place?” We get hundreds of replies every day and based on the pain point we guide them how they can achieve the same thing in Mailbird so they get to their ‘aha’ moment faster. 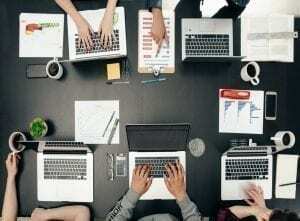 Most of the customers abandon your software if they face a problem. We try to build a relationship right from the start so our users know they can always talk to us in case they have a problem and we even encourage them to do so. 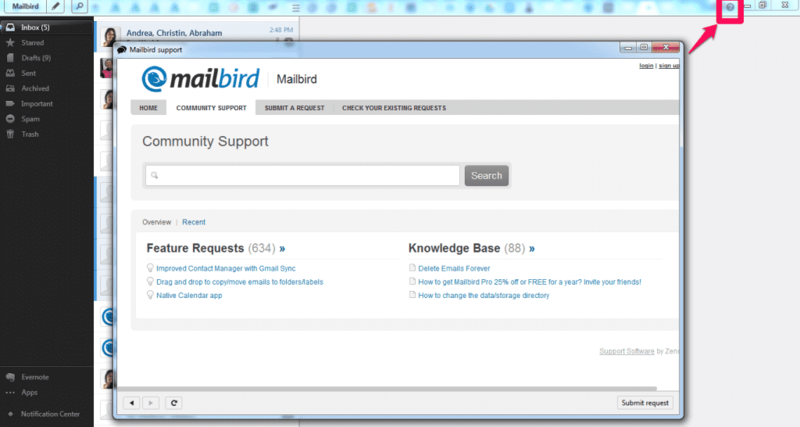 This is why the small help button in the top right of Mailbird is always there in case a user needs some help. It significantly reduces the abandonment without contact. Problem comes along in many different shapes and sizes and can often leave users unsatisfied. It could be because of an unknown bug, a unique problem, something that customer is doing wrong or maybe just because the customer is grumpy. It’s often very helpful to escalate the problem to higher authority in the company like a senior developer or the CTO itself. This gives user an assurance that you’re ready to help them in any way possible and is also helpful in case there is a unique bug which customer support executives might not understand. However, if you pass them along too much it becomes an annoying experience. We’ve all seen that with big telecom operators. Tier 1 – When a new ticket is created it is by default handled by our customer support executive, which is how it goes in every company. Tier 2 – If the customer is not satisfied by the response of our customer support executive he is then assigned to one of our developers depending on the type of issue he is facing (front-end, backend etc). Tier 3 – If their problem is still unresolved, they are then taken care of by our CTO. When a different person is assigned to the problem, make sure he reads the previous conversation to know what’s been happening or it could become annoying for the user to explain it again. You could create more layers but from our experience we’ve seen this working quite well. You may not get enough chances to educate your users about how to use your software and with the limited chances, it’s best to give them a singular place where they can find everything, commonly called a ‘Knowledge Base’. If you directly point users to your knowledge base it gives a bad impression as if you don’t want to handle their problem but you can direct them to it once you’ve resolved their issue. This will give them a one stop platform when they face a problem again. Some critical bugs takes longer than usual to resolve. In such a case user should be periodically updated about the status of resolution. In many cases users are unable to use your service and not keeping them informed will only push them to abandonment. Not only that, you risk getting a bad recommendation from them. Do you not cringe when you get canned responses from your service providers? It feels the same when you send it out to your customers. Human emotions are very powerful drivers if used properly. Showing small acts of compassion and understanding a customer’s problem as if it was your problem goes a long way in establishing strong relationships. Specially if you’re dealing with a dissatisfied user, showing them that you’re a human too could significantly change how they reply. 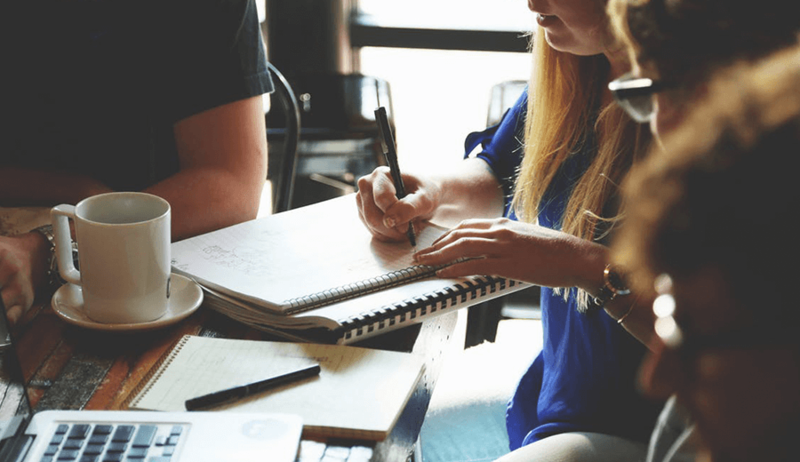 People connect with people and remembering this could forge the strongest of relationships between you and your customer. It goes without saying but you should be a keen listener and actually hear what your customers say. It helps with the long term vision of the company as you’ll know what your customers are demanding. We try to do this through our ‘Feature Request’ section in the knowledge base where our users decide which feature should be developed next. Would you like to be notified when we have xyz feature? Most users would be willing to come back and give it a shot again unless you have a complicated business tool which needs heavy resource investment to implement. This would work only when there is minimal resources required in the adoption/migration. If the user is interested in giving your product a shot, tag them with a certain keyword and keep them in your database for the time when you introduce that feature or resolve the problem. Make sure that you take prior permission or it could backfire when you contact them in future. Due to low attention span users often expect a reply as soon as possible and even if you don’t have the resources to attend high volume of incoming tickets, this trick can be a good fit for you. If a user’s problem is straightforward you can explain them the solution in one reply but if you know it would take time you should inform them of the maximum time it would take for you to resolve the issue but actually reply in half or a third of the time. It serves a good impression that you prioritized their problem and dealt with in a much shorter time. Do it over and over again and your customers would be a lot happier. Never assume your users to be tech savvy to understand all the jargons you throw at them because most of them are not. While explaining them a solution it’s best to adopt the strategy of how you would explain the same solution to a five year old. Write it in simple English and explain in detail so it becomes a no brainer for your user to implement. It comes with practice and you can read this Reddit group for more inspiration. It’s a common case when users would ask questions unrelated to your software and even though it’s not your duty to find a solution, you should still consider answering them. For example, a lot of our users ask us how can they use HTML to create a clickable image and even though it’s not related to Mailbird, the solution is quite simple and our support person would still explain them how they can do it. It takes hardly a minute and establishes a good will with the customer. Be careful to not go overboard. If a customer is asking you the recipe for Tiramisu, feel free to decline that politely. Might sound clichéd but most support people won’t tell you that they lack a certain feature and will instead keep pushing you for something else. This is not a healthy practice. It only annoys the person at the other end. Your aim should be to help the customer and save their time and there is no point in pushing around your customer when you know you can’t deliver what they are asking for. Instead you can honestly tell them that you don’t have it and suggest them an alternate way to achieve it. For example, Mailbird doesn’t have mail filters and when a user asks about it we not just tell them it isn’t there but also suggest how they can set it up in their email account which will be applied in Mailbird automatically. Once you get started with these simple strategies, don’t forget to measure it by your NPS score. We were able to increase our NPS score from -16 to 5 and we hope you can too. We never stop improving our support process because we are not perfect and we have made mistakes too. We try to minimize the bad experiences and continue to innovate with the demands of our customers to ensure that we deliver total utter happiness in their experience with email when they choose Mailbird. Also, unlike many other email companies that only provide awesome support for paying customers, our top notch customer support is something that comes absolutely FREE to everyone. 7 thoughts on "10 Simple Strategies To Handle Customer Support The Right Way"
All these strategies are pretty useless if you don’t actually respond to customer support emails! Hey Matt, not sure what exactly happened there but if you can tell me your email address I can look into it right away and I apologize if things didn’t go the right way. Our support was very limited around new year and I’m guessing it must have been around that time. But in case you want to pass on suggestions, I’m all ears and would even be happy to jump on call with you to understand more and resolve the issue. What I see missing from this description is training your staff to actually do these things. That takes a huge investment in hiring, curriculum development, training and re-training. Then there is the recurring investment of sending staff to those hands-on trainings. And then there is the investment in multiple courses for the various roles (your tiers would require different depths and types of knowledge). This involves a commitment of time from all the groups in the company – so your senior executives would have to be willing to allocate all those resources. I once heard such training called a “secret weapon” by a very successful company – but it isn’t really secret. It’s just something most Venture-backed companies don’t want to do. It goes against the “maximize profits/minimize services” philosophy that drives US companies. Instead, they usually just expect employees to provide support based on some “support philosophy” or “support metrics”. Very true @MrTonyD:disqus. It does take a bit resource investment initially and that’s the case with almost anything that you’re looking to improve upon. But as you mentioned the real problem is the willingness of senior management to invest time and other resources to really make their customer support better and it can only change either with the fundamental mentality shift or when they see its adoption around them. How have you addressed the privacy concerns brought up at http://cubiq.org/the-best-and-the-worst-email-clients-for-windows ? It definitely does not rock. 72 days without a fix. Never escalated to Andrea (CEO) or Olsen (CTO) as cited in this article. eM Client works just fine. You did an update, Mailbird stopped working, and all we’ve been able to verify in 72 days of back and forth… is that I can run Mailbird in Safe Mode on Win 8.1 — which obviously doesn’t meet my needs. This is the most appalling customer support I’ve experienced in 30+ years of technology.